With the start of August, we find ourselves right smack dab in the middle of Summer! The days are warm and, oftentimes, muggy, and no matter what type of outdoor activity you and your family prefer, sweating is almost a guarantee. Whether walking, exercising or traveling in the car, moisture (sweat) combined with friction from body parts rubbing together, or from clothing moving over delicate skin repeatedly, can lead to painful skin chafing and irritation - i.e. thigh chafing, bra itch, jock itch and, in babies, diaper rash. To help insure that your skin stays soft and dry, preventing painful chafing in all your delicate areas, it’s time to discover a new, summertime skin care essential – Purple Essentials’ All Natural Body Powder! 100% All Natural, Purple Essentials’ Body Powder and Baby Powder are formulated from finely milled natural flours, herbal powders and moisture-wicking, Parisian Pink Clay, with pure essential oil blends added for specific aroma therapeutic effects . Best of all, as part of our company’s goal to help reduce our client’s exposure to harmful, unnecessary chemicals, they are Non Talc and Cornstarch Free. 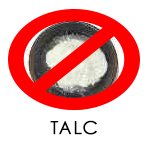 Why Non Talc and Cornstarch Free? Talc (talcum powder), is a controversial skin care ingredient that for decades has been used to help wick sweat off of our bodies. For the last 30 years, scientists have closely investigated talc particles and found dangerous similarities to asbestos – here is a link to the American Cancer Society and their position on talcum powder. This poses an inhalation concerns for adults and, especially, babies. Another common use for talcum powder is as a dusting powder and deodorant agent for sensitive areas, including the genital area. However, some studies suggest that talc based products used in this manner create a possible risk factor to developing ovarian cancer in women – here is a link to the Canadian Cancer Society’s website. As for avoiding cornstarch as an ingredient in our all natural powders,specifically the baby formula, we feel that it increases the effectiveness of our product. 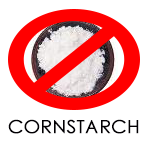 Reports we have read suggest that cornstarch may actually feed yeast, which can worsen a yeast/thrush infection. Anyone who has tended to a baby with a painful diaper rash knows: you do not want to "feed the yeast!" Whether the evidence is definitive or not, Purple Essentials does not believe in exposing our clients to the potential health hazards of using talc – our natural body powders, including Purple Baby Body Powder, are talc free and cornstarch free. 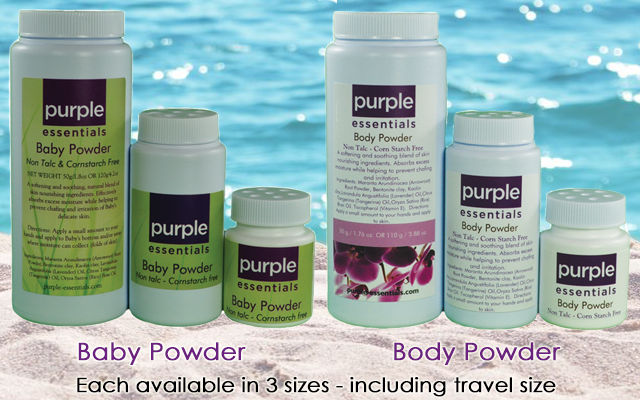 For more information about Purple Essentials’ Purple Baby Body Powder – click here to access a previous posted blog entry. Use a light dusting to help control facial shine, especially when setting makeup. No matter the irritation, Purple Essentials’ Body Powders help soothe, and protect your delicate skin during the muggy, summer months. Nurture yourself and your skin – Add this skin care essential to your summer routine and experience the natural results now.